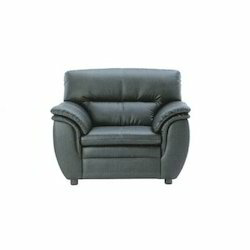 Our company is highly esteemed in offering Single Seater Sofa. Established in the year of 2011, The Furn Craft is one of the well known companies in the market. Our ownership type is sole proprietorship. The head office is located at Chennai, Tamil Nadu. We are the foremost manufacturer of Two-Seat-Cushion Sofa, Sofa Cover, Designer Sofa, Wooden Sofa and many more. These products are precisely manufactured by using best grade raw material.